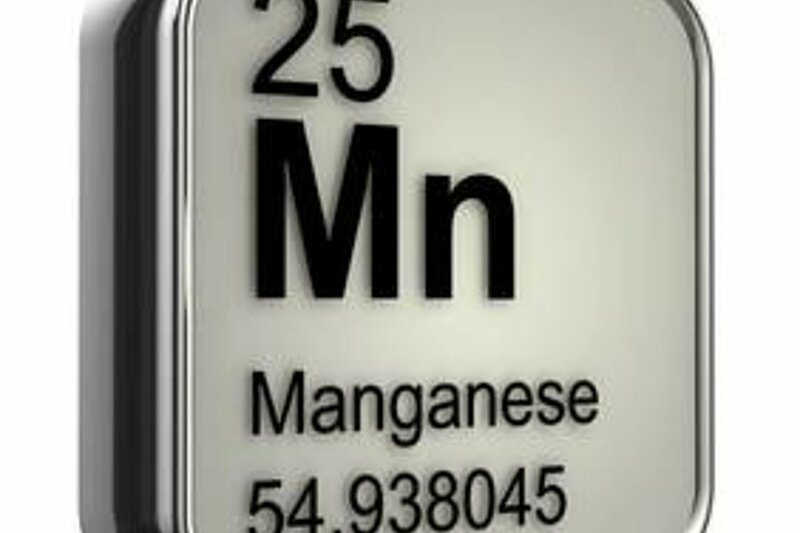 OCCURRENCE Manganese (Mn) is abundant in the earth’s crust, and occurs in many minerals numbered in the hundreds, but only a few are deemed economic to process for commercial use. Pyrolusite (Manganese Oxide) MnO2 and Rhodochrosite (Manganese Carbonate) MnCO3 are the main minerals mined and processed to saleable products. In terms of tonnage iron, aluminium and copper are the most used metals, and it is not widely known that manganese is number four making it an important metal indeed. The reason for the position in the metal league table is that about 90% is used as part of the process in the production of steel and cast iron, and also as an alloy in speciality steels. It is usually added in the form of a ferroalloy, such as ferro-manganese and silico-manganese for convenience and to help the steel maker’s calculations. 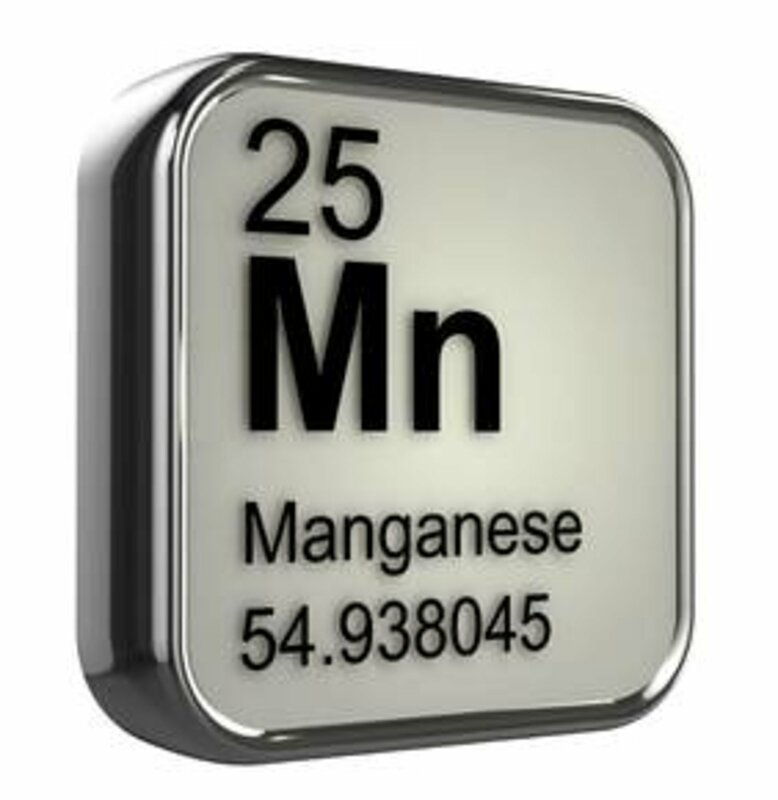 Manganese is also added in small amounts to aluminium, copper, nickel, titanium and zinc to improve properties for certain applications. The second most important use is in dry cell batteries, of the zinc-carbon, alkaline and lithium-ion types where it used in the form of manganese di oxide. The use in lithium batteries is forecast to grow as it can extend the life in the rechargeable and the disposable types. Other uses are as an additive to animal feeds, fertilizers, pigments, glass, paint, plastics, textiles and water treatment. Mining maybe carried out by conventional open cut method of drilling, blasting and excavation using hydraulic excavators and dump trucks. Typical ore treatment comprises staged crushing to minus 75 mm followed by scrubbing to separate clay fines from the competent rock, screening to give 3 size fractions -75mm + 10 mm, - 10mm + 1.0 mm and -1.0mm. The -75mm + 10mm fraction reports to an Ore Sorter, the -10mm + 1.0mm reports to a heavy media cyclone, and the -1.0mm is delivered to tailings dam or depending on the grade of the ore and manganese distribution maybe processed further to make a very fine manganese concentrate by methods such as hydraulic classification, gravity and magnetic separation. The Ore Sensor Sorter produces lump manganese ore and a waste reject, the heavy media cyclone produces fine manganese ore and a float reject. Further processing is required to make high purity material for use in batteries and other specialty products. Chemical methods are used to make CMD chemical manganese dioxide, and Leach-Electro-winning to produce EMD electrolytic manganese dioxide. Find out more how STEINERT sensor-based sorting can improve or assist your ore processing...call us today!